We deliver to your door, within three days of placing your order*. 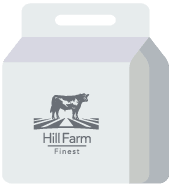 At Hill Farm Finest, we believe that everyone deserves to have the best quality produce, in the freshest state possible, as fast as possible. That's why we offer a premium delivery service to match the quality of our meat. Once you have placed your order and have received order confirmation, your order is printed directly into our butchery where our expert butchers prepare your meat how you would like to have it. 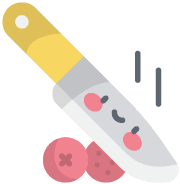 Once the butchery process is complete, your order is packaged and billed with weights and cuts clearly displayed on the outside of the product packaging. We then load your order onto our delivery vans on the nominated delivery date before taking your order out to you. Throughout the process you will receive order updates regarding the status of your order via email and you can also track progress through your online account. *We aim to deliver all orders within three days of placing with us. However, this is not always possible; please see our Terms & Conditions for when we might be delayed in delivering to you. We cut all your meat just how you'd want it. We have two in-house, expert butchers with a combined 30 years of experience in the industry. Just let us know how you'd like your meat to be cut in the order notes section during checkout and if we need any further information, we will get in touch with you. For cuts not listed in our shop, please drop us a line and we'll be sure to accommodate. Our premium meat must come with a premium packaging service. That's why we have stringent packaging requirements to ensure you receive the best quality product in the freshest state possible. We use vacuum packs for much of our delivery packaging and aim to minimise the time from cut to pack. This ensures the freshness of the meat and allows for easy fridge/freezer storage for our customers. Oh, and we also have a lovely box! All of our deliveries are made in our temperature-controlled packaging and reaches you in perfect condition. Deliveries take place nationwide from Tuesday to Friday every week by our delivery drivers and partners. Our objective is to be on time, every time. There are some circumstances where your delivery date may be unattainable or delayed, and this is usually out of our control. We will always try to keep you abreast of your order status and this of course means if there are delays in delivering your meat to you. Please see our terms and conditions for when this might happen.